The European Central Bank targets the consumer price level, among other reasons because neoclassical macro-economic models often picture a world where this is the only level which matters. Indeed, as there is only one product in quite some models, the only level which even can exist. In reality, money is not only used to purchase vegetables and cars (household consumption) but also to pay for street lights (government consumption)and new houses and machinery (fixed investment). Theoretically, a broader inflation metric like ‘domestic demand inflation’ (household consumption + government consumption + investments) is therefore superior to a consumption price metric as far as targets go. Treasury Secretary Timothy Geithner’s departure from the Obama Administration invites comparisons with Klemens von Metternich. Metternich was the foreign minister of the Austrian Empire who engineered the restoration of the old order and the suppression of democracy across Europe after the defeat of Napoleon. This was an impressive diplomatic feat given the popular contempt for Europe’s monarchical regimes. In the same vein, protecting Wall Street from the financial and economic havoc they brought upon themselves and the country was an enormous accomplishment. The United States has more than 20 million people unemployed, underemployed or out of the workforce altogether because of a burst housing bubble. We also have more than 10 million homeowners who are underwater in their mortgages. And, we have tens of millions of people approaching retirement who have seen most of their life’s savings disappear when plunging house prices eliminated most or all of the equity in their home. This situation could have been prevented if the government had taken steps to stem the growth of the housing bubble before it reached such dangerous levels. It is incredible that the Bush administration’s economics team failed to see the dangers of the bubble. It is even more remarkable that Alan Greenspan, Ben Bernanke and the Fed ignored the growth of the housing bubble. But even more astounding is the fact that no one in a position of authority has learned any lessons from this disaster. URPE–The Union for Radical Political Economics–is holding a Summer School for the Occupy movement, and as part of that invited papers that explained the crisis in 1000 words or less (so that they can be printed on one double-sided sheet). Here’s my effort in somewhat less than 1,000 words (though with 2 figures). In the interests of URPE’s objective in this exercise, here’s the PDF of this blog post for general download. It is extraordinary to sit here in the midst of the crisis and read the self-satisfied pronouncements of economists about the state of the discipline. To be clear, what we’re talking about is the state of the discipline in, not after, the crisis. 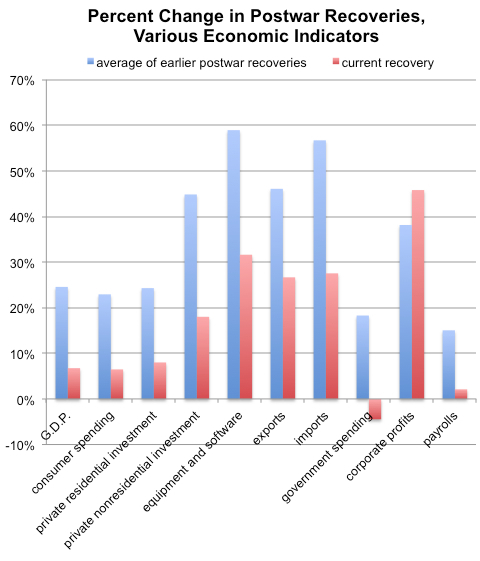 Whether we’re referring to the situation in the United States or Europe, this is still the deepest and widest set of economic problems since the Great Depression. It is, in short, the Second Great Depression—and there’s no end in sight. The above and related issues arise in two papers in the current issue 59 of the Real-World Economics Review. (iv) an absolute rise in German wages – though for different reasons. Robin Pope: in order to try to curb the dramatic increase in inequality in Germany between the upper echelon and the average German worker that has occurred over the past decade, an increase that damages democracy and damps internal demand. 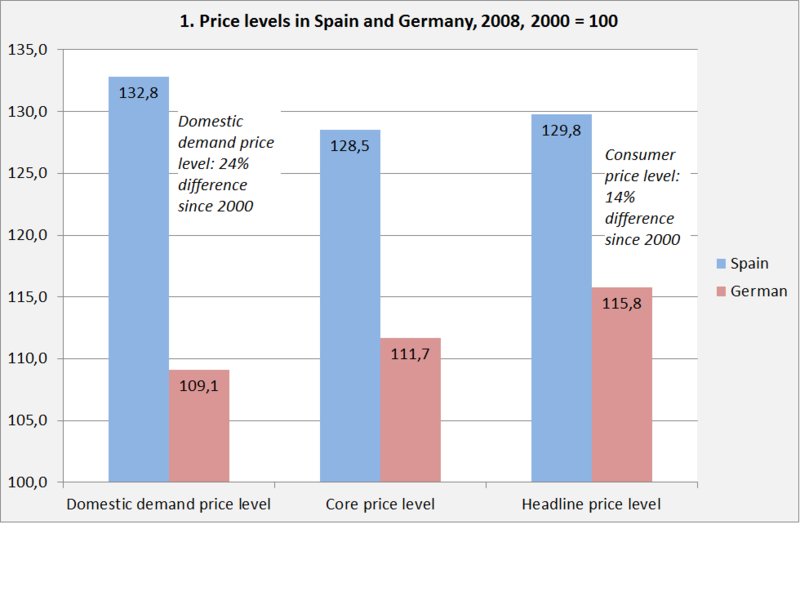 Matías Vernengo and Esteban Pérez-Caldentey: in order to reverse the dramatic narrowing of the gap between wages in Germany and non-core countries that occurred over the past decade, a reversal that they believe would eliminate Germany’s dramatically increased export surplus to non-core countries that occurred over this same decade plus. Latvia, a Baltic country of 2.2 million that most people could not find on a map, has suddenly gotten more attention from economists involved in the debate over the future of Europe and the global economy. I responded in a column last week to remarks by Christine Lagarde, IMF Managing Director, who on June 5 said that Latvia’s policies in response to the economic crisis had been a “success story.” Paul Krugman has also weighed in several times, and has been joined by Harvard international economist Dani Rodrik, and now by the IMF’s Chief Economist Olivier Blanchard. Below is an extremely interesting exchange between the authors of two papers in the current issue of the Real-World Economics Review. This post has now started a discussion Punish Economists For Bad Advice? at the WEA Ethics Conference. If you go there, you can take part in the debate. An article “Stop letting economists off the hook” by Philip Soos in the Business Spectator should be required reading for economists. It raises the question: “If other professions can be held accountable for poor job performance, why not economists?” Here is one section of Soos’s article. Many long-held tenets of neoclassical orthodoxy have fallen by the wayside in the past 3 years, but perhaps one of the biggest dominos that is at least teetering precariously (if not fully tipped over) is the consensus that inflation targeting should be the exclusive focus of monetary policy. Changing the narrative. Inequality as a cause for the Euro conundrum.